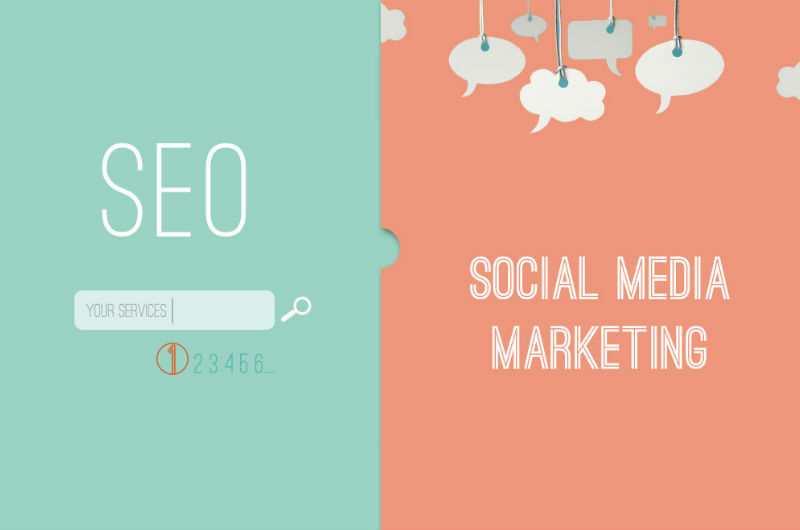 Social media and SEO are the most powerful and important online marketing channels. Doing both the right way can bring immense advantages to any business. In the last years, social media has taken off, and for some websites, it has become the main traffic source. But does this mean SEO has no future? No, SEO is and will remain to be one of the best ways to drive relevant traffic to a website. You’ve probably heard many debates about the death of SEO, but all those are nonsense. SEO is evolving and changing, and so should our strategies and practices. To be successful with SEO, you have to take full advantage of all methods available. In this post, I want to talk about how you can use Social Media to do SEO for your website. Does Social Media Influence Rankings in Google? For the time being, there’s no direct correlation of social signals influencing rankings in Google or other search engines. About one year ago, Matt Cutts stated that they have tried an in-house version of Google using social signals as a ranking factor. The results were below expectations, hence why they’ve ditched the idea, until further development. For the last years, backlinks have been and will remain to be at least for the next three to five years, the most important ranking factor for Google search results. Nevertheless, this doesn’t mean you can’t use social media to do SEO. Sites like Twitter, Google Plus or Facebook are a gold mine for SEOs. Guest blogging on third party websites helps you tap into already established communities and share your content along with a link to your website. If the readers of your guest post found the tips you’ve shared useful, they might visit your website afterwards. For this method to bring good SEO benefits, you have to write guest posts, only for websites with a high domain authority. Here’s how you can find guest blogging opportunities using Twitter. Use the Twitter search module and look for keywords like “guest post + keyword”. For example, if I want to find websites that have recently published a guest post in the business niche, I will search for “guest post business”. Below you can find some examples of guest blogging opportunities found with Twitter. Once found websites that are willing to publish guest posts, get in touch with those responsible for the content of the website, and ask them if they would like to have you as a contributor. By using Twitter to find guest blogging opportunities, you’ll find sites that are frequently updated and are active. It will also help you avoid sites that have been abandoned and forgotten. A key part of SEO is writing content that people want to read and share. If you are out of ideas and don’t know what other topics to cover, head to social media to find popular content that gets a lot of shares. BuzzSumo is a tool that allows you to search and filter the content shared on social media for specific keywords. You can sort the content by the numbers of shares it has received on Facebook or by the number of retweets it got. When you do SEO, it’s not just about optimizing your website and content for search engines. Modern SEO is about giving to people what they want. And social media will help you do exactly that. Write better content than what your competitors have already published, and you’ll get a lot of shares on social media and also new ranking chances. Pay close attention to the keywords you are using, because those will help you rank for more terms in the search results. Infographics are a great way to build one-way backlinks to your website and improve your SEO. If you have already created and published an infographic on your site, all you have to do now is find sites willing to embed your work. Just as you would use Twitter to find guest blogging opportunities, you can also use it to search for sites that are sharing infographics. Play with the search module and once found such sites, do a friendly outreach and tell the webmaster about your latest work. Besides Twitter, you can also use Pinterest. From Apple to Microsoft, everyone spies their main competitors, and so should you. If you want to be up to date with your competitor’s content marketing strategies and what they do to promote their site, follow all their posts on social media. Try to replicate what your authoritative competitors are doing well, and find a way to outrank them and become the authority yourself. Social media it’s not just about building a community for your website. It’s more than that. You can use it to do SEO, to find new content ideas and promote your business. Smart marketers are taking full advantage of both SEO and social media. Combine them well and you’ll get endless benefits. Thanks for nice post! Is there any real impact of social media on organic search result? I mean to say getting more likes, comment and share will help me to improve my ranking?